4T709R8Last year, PBS Digital had an amazing set of sessions at TechCon. And this year we want to double down on our number! 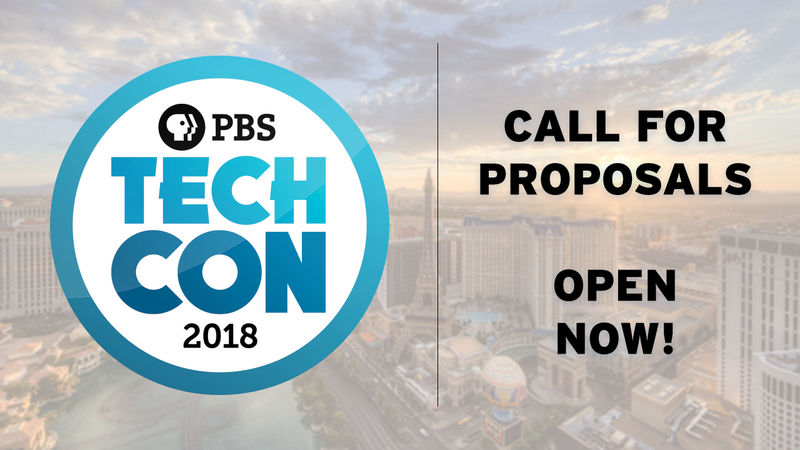 The TechCon call for proposal is now open. If you are asking yourself, what is TechCon?, Larry Rohrer, Director of Content at South Dakota Public Broadcasting can explain. Or, you can ask Deanna Mackey, President/Exec Dir of the Public Televison Major Market Group. TechCon is Public Media's largest, and oldest, gathering of technology experts. PBS TechCon will be celebrating it's 40th anniversary this year, and we want to make sure that we provide stations and producers with the best digital track thus far. The 2018 conference will take place at the Mirage in Las Vegas, April 4-6. Further details on the Call For Proposals (including the last year's agenda and suggested topics our attendees want to know more about) will be coming soon on the conference website. Curious about where to begin? Join Kevin Ruppenthal Nick Agresti, and Jose Fernandez on a webinar as they take you though the proposal process. TechCon Call For Proposals: What are we looking for? For any questions reach out to your SPI Rep or email spi@pbs.org.